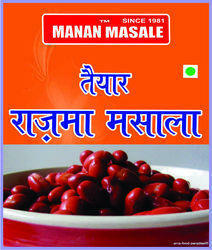 With our years of expertise of this industry, we offer Rajma Masala. This product is extremely used owing to their longer shelf life and purity. - No preservatives or additives. Kidney beans cooked in a hearty tomato and onion gravy, with the aroma of freshly ground spices. ‘Rajma Masala’ is a popular North Indian vegetarian dish consisting of red kidney beans (originally brought to the Indian subcontinent from Central Mexico and Guatemala) in a thick gravy with lots of whole spices and usually served with rice or roti as a wholesome and healthy meal. Red kidney beans with a thick tasty gravy, straight from the heartland of Punjab. Tasty tip: Serve with Paratha, Roti or Rice. Water, kidney beans, tomato puree, onion, refined vegetable oil, butter, cream, ginger, garlic, salt, coriander leaves, red chilli powder, green chilli, cumin powder, clove, cinnamom, bay leaf, Spices & Condiments. 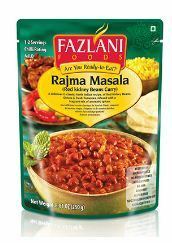 Offered by us is a prime range of Rajma Masala to our clients. Also, these are checked in order to deliver pure range at clients end.